Trick or Treat? Both please, thank you. It’s macaroni and cheese, but with a trick – the squash. 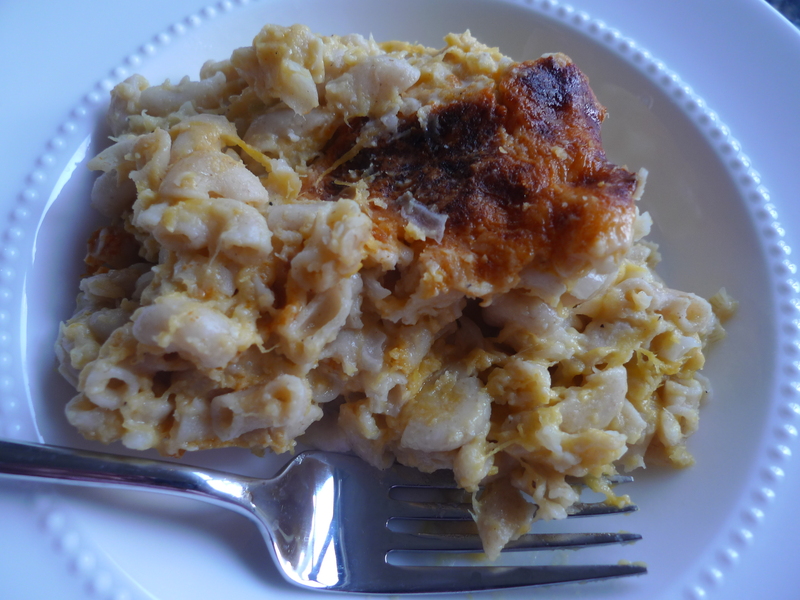 You wouldn’t take a bite and say “ew, squash in my mac n’ cheese.” Instead you say “delicious, this is amazing and say what? It has whole wheat pasta and butternut squash? I think I will have two helpings and feel no guilt.” The treat is you can. I am not here to convince, however, merely tell you the tale of the best fall macaroni and cheese. 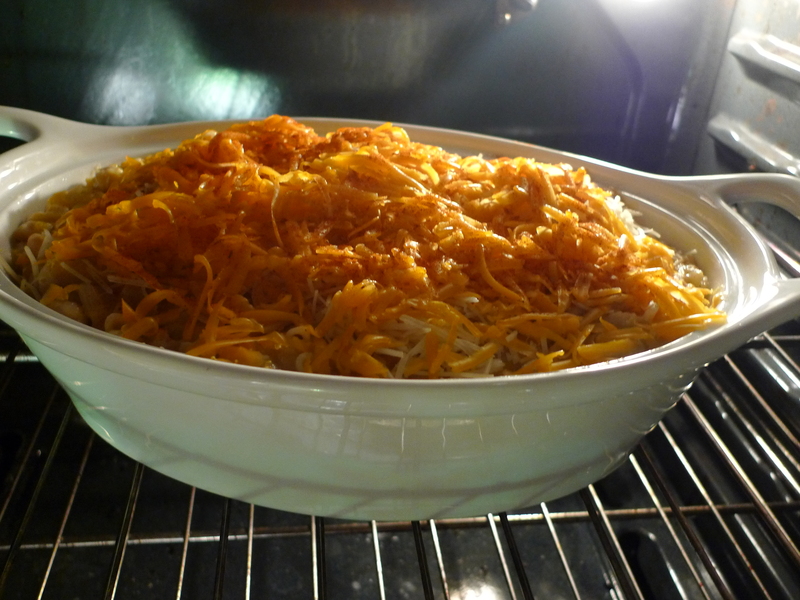 It starts with a simple onion saute, goes on to cozy up with butternut squash and is topped with a blanket of melty cheese. It takes no time to prepare and even less time to bake. And, it’s delicious – seriously delicious. If you are still reading instead of gathering the ingredients, I have tricked you into thinking there was anything more to say. Bring water to a boil, season with salt and cook macaroni to according to package directions, leaving the macaroni with a slight bite (al dente). Heat butternut squash in microwave according to package directions (or use stove top). Set aside. Squash should be very soft – turn into a puree with the back of a spoon. Heat the olive oil in a large pot over medium heat, saute the onion and garlic until soft, about 6 minutes. In a medium saucepan, melt butter. Whisk in flour, then add stock and milk. Season with salt, pepper and nutmeg and cook until thickened, about 5 minutes. Add to onions and garlic. Stir to combine. Add butternut squash, mix and reduce heat. When sauce comes to a bubble, stir in 3/4 cup parmigiano and muenster cheeses. 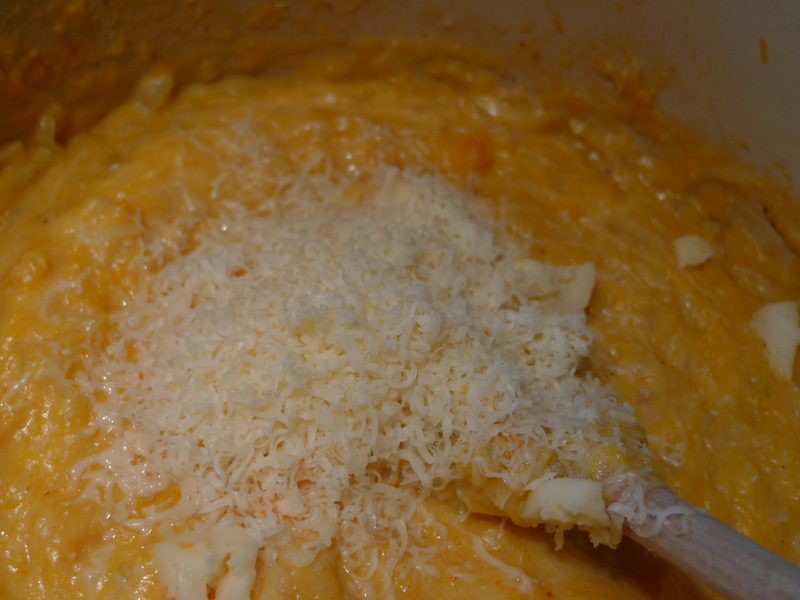 Combine the sauce and macaroni, transfer to a casserole dish and top with remaining parmigiano-reggiano, shredded cheddar and paprika. 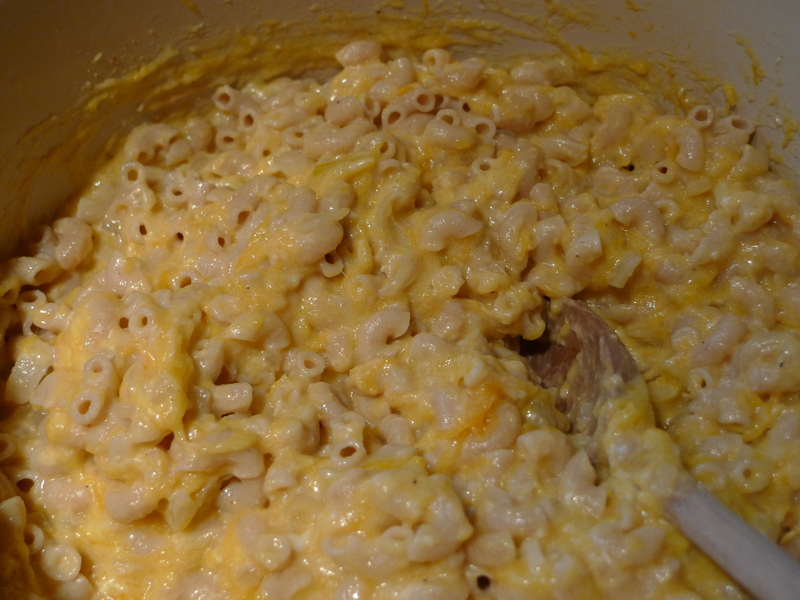 Brown the macaroni under broiler, about 5 minutes until the cheese is bubbling and deliciously brown. This is what I love about mac and cheese. 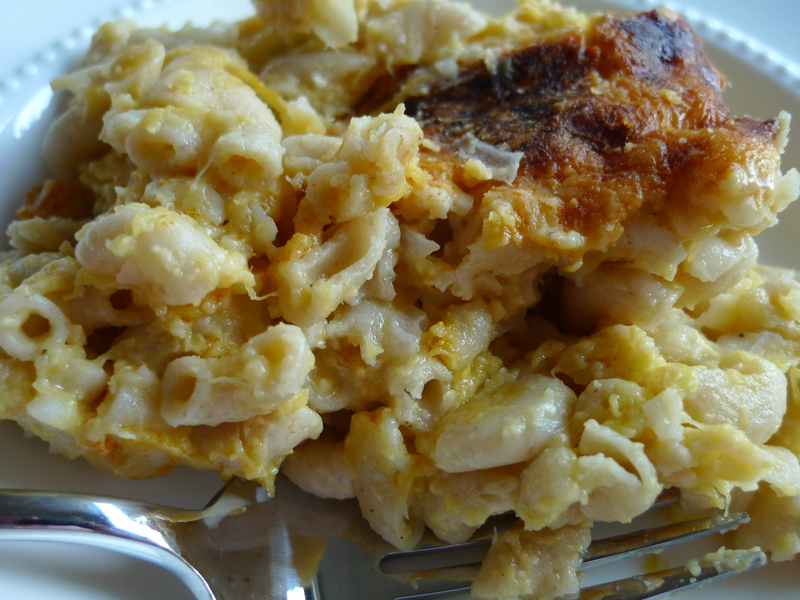 You can do endless different things with a macaroni and cheese recipe and it never gets old. Nice recipe! !